Anoesjka has worked for more than seven years at the Ministry of Economic Affairs as a policy advisor. She contributed to creating an innovative mindset and ecosystem in The Netherlands for entrepreneurs to start and grow their companies. She is also an experienced entrepreneur herself, as she founded a social enterprise called Maid at Home. 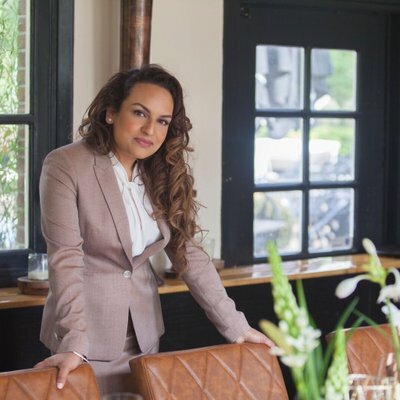 Which has a mission to educate and empower women with obstacles entering the labor market by creating a luxury brand of professional housekeepers. Her vision and perseverance were acknowledged when she was awarded the Ethnic Business Women Netherlands Award in 2016. Currently, she is the Executive Director of the Venture Café Foundation in Rotterdam. With its position as a non-profit global innovation community platform, Venture Cafe hosts a freely accessible gathering, with more than 300+ visitors every Thursday, to connect (and inspire) students, innovators, startups, corporates, investors and other like-minded people to accelerate innovation and to foster growth. Venture Cafe is a part of a global network of innovators. Rotterdam is the first European expansion. Venture Cafe is also located in Boston, Miami, St. Louis, Winston-Salem, Philadelphia, Sydney (Australia) and Tokyo (Japan).